I've got my Oculus, I'm waiting on my spot for the Touch Pre-Order, and crossing my fingers on a drop date for Omni. In the mean time, I'll be dropping relevant VR material here as I slowly turn it out. First the celebration video, then the set-up video! Great videos! Love your unboxing intro. 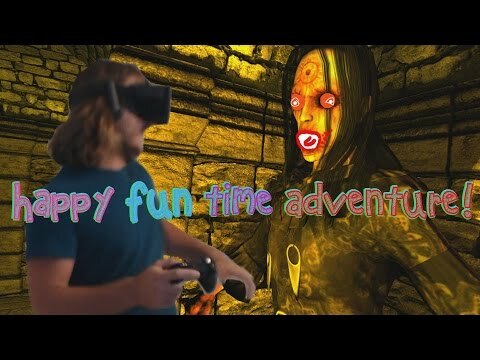 What's been your favorite Rift experience so far? Amazing! 10/10 for commentary My Rift's coming in on Monday and the first thing I'm gonna do is get Vorpx and Fallout. Was hoping to do this with the Omni but it is what it is. Looking forward to more vids. Nice job @gleamingsands, good comentary. @Sponge101 I just got Vorpx working with Fallout and my Vive. Its really good. Viewing the PipBoy is impossible you need to use peek mode. Also use this guild to set the mouse X and Y speeds to be identical. I would also set the resolution as high as you can as the down scaling will help with anti aliasing. I actually created a custom resolution that my actual monitor cant even handle. I have to say Fallout 4 is really fun in VR. However I find it oddly awkward just standing there while i am running around in the game. It just makes me want the Omni even more! @xxann5. I was talking about New Vegas but I assume you're talking about Fallout 4. The VR PC I listed in that hardware thread is complete except for one thing--the 1080. I'm still rockin' the 480 and I know it will fail big with Fallout 4 so I'm not even going to try. With New Vegas I'm getting a solid 60fps with max settings and around 30% gpu usage; I think I'll be able to maintain that 60fps with the Rift in geometry 3d. Thanks for the link. It'll come in handy. How far are you pushing the settings in Fallout 4 with your 980 ti and how many fps are you getting? For me, the most intensive and enjoyable experience has been "Into the Dead." It's real basic game play, but man it's fun, and loads of replay value. Thank you everyone for watching, I'll be getting more out soon, Lucky's Tale is definitely as enjoyable as they said it would be. I'm eager to see Oculus extend their VR experience with touch, I often find myself reaching out with my hands only to realize the object isn't there. I know it objectively, but subjectively the reality is much too strong to reduce every inclination to react like it is the illusion you know you are experiencing, especially with motions like brushing something out of your eyes. I just watched some gameplay of Into the Dead. Very cool! Did you experience any sim-sickness with this game? I had a great time with Lucky's Tale. Definitely agree about the Touch controllers. Tracked controllers add a lot to the experience. I've heard from people who have used the Touch controllers that they feel amazing. O, ya Fallout 4 in VR would be a bit much for a 480. @KellCam_Virtuix Not really, no. It's a straight forward running experience with no turns, and the stand your ground version doesn't have wandering either. It's a pretty good experience. 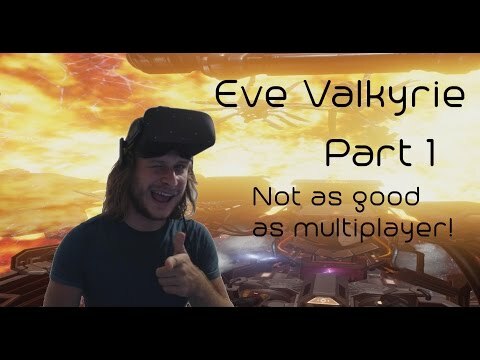 I'm back with glorious virtual reality multiplayer! I start off drowning in vacuum and end up slaughtering the opposition while yelling heavily at my own team in awe of their inadequacy. 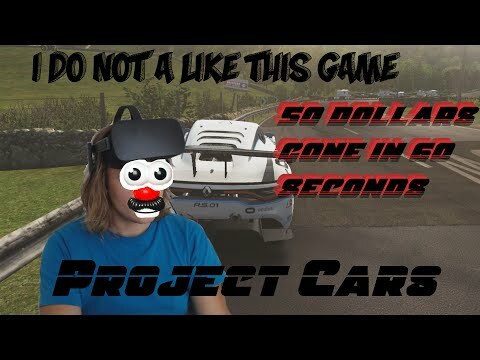 Let me introduce you to Project Cars: GOTY, a terrible game made by terrible people, and it only cost FIFTY BUCKS! HELL YEA I'LL SPEND THAT FIFTY BUCKS! MMMMM DOSH! That thing looks excellent. Definitely a cool feature in a VR Arcade or tech cons. Just like you, for me it's all about open world experiences, and an unfortunate problem with current VR games is the feeling of being penned in to a world. I want something much more comprehensive. I played Dreadhalls for twenty minutes before chickening out after realizing I simply wasn't up to the challenge of being stalked by a banshee and moving statues. What? You think you're better than me?! SCREW YOU! I'm a MAN DAMMIT! This game reminds me of Outlast: you can't fight back so you have to run and hide. However, there's the Boogeyman concept here as well; when you face your fear (the girl) a lot of the fear/scary goes away. It's the unknown that is terrifying. 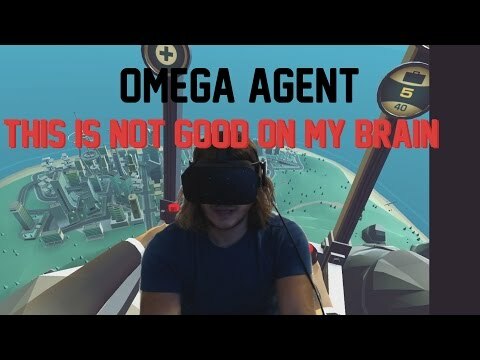 You got farther than some people--Norm from tested didn't even leave the first room when playing this with the Omni. I REALLY want to play this with the Omni. It would be amazing, and simply cannot wait. Virtuix is ramping up, and I'm SUPER excited about it, I CANNOT WAIT to make my Virtuix Omni Unboxing video! Today, I get to fly around in a freakin' jet pack while blasting stuff with a shotgun. Unfortunately, that seems to have been all there was to this game. Oh, that and the suitcases. Lots of suitcases. EXCITING! Are you planning on getting a wheel or flight stick? They add a lot to immersion. I played Tom Clancy's H.A.W.X with and without a flight stick and the difference was night and day. btw, I read that the second you feel motion sickness you have around 30 seconds before you start to feel really, really sick. In that golden 30 second window is when you should take the headset off to avoid getting sick. Anyone know if this is true? @Sponge101 - pretty sure it's a rule of thumb that only works with very consistent experiences on a select group of individuals. The problem is that there are specific effects that can be HUGELY sickening (like having the screen turning the wrong direction from what you're turning your head, or the headset losing positional tracking) so if the game is doing these things consistently, then the 30 second thing might be applicable for certain people. I personally have had games that made me uncomfortable and dizzy, but it didn't get any worse or better as I continued playing. By the time I finished I just felt washed out, rather than feeling like vomiting. 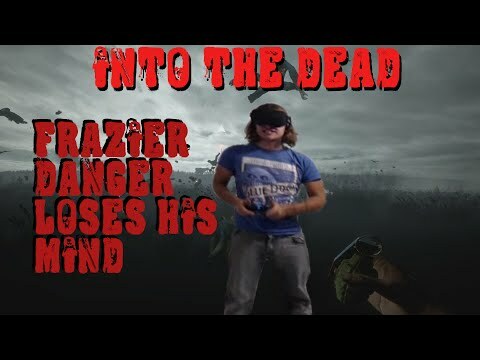 This time I check out a little bit and bring you into the world of FrazierDanger with a taste of what it's really like. Also, Youtuber Special! I've found that motion sickness is something that has to be triggered by in-congruent movements within the game which are both exaggerated and do not reflect what you yourself are doing at the time, ie what your brain expects it should be doing based on the movement of cochlea fluid and the related vestibular systems. 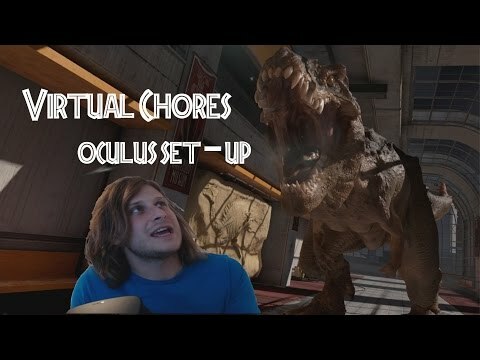 For me, the 30 second rule is not true, I simply get extremely tired and want a nap, but this feeling has both waned over time with practice and at this point is nothing more than a small nuisance in all but the most incredibly difficult and poorly optimized VR games. At this time, I'm not sure about the flight stick or steering wheel, but it honestly seems like a good idea if I intend on continuing to play those sorts of games. It's definitely something I need to consider if I do. Great videos! We'll be posting a Dreadhalls video with the CV1 and Omni later this week. Definitely not for the faint of heart. I LITERALLY cannot wait. The one thing I desire most in my world apart from an 8 string acoustic guitar is my Omni. I'm not sure which one I want more. Scratch that, I want my Omni more. @KellCam_Virtuix. Dreadhalls? Didn't you guys did a vid on that already? Try Outlast. Same concept as Dreadhalls but 100x more pants-soiling educing fun! 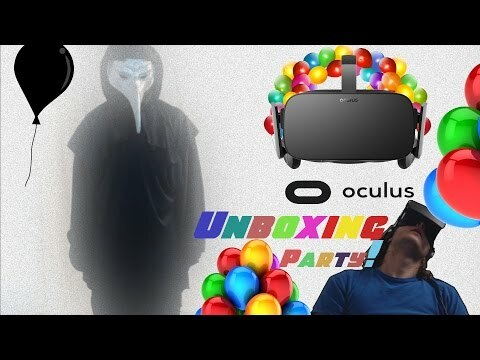 @Sponge101 That is true, we did a Dreadhalls video using the Gear VR a year ago. This new video uses the CV1 and PC version of Dreadhalls. I think it's our first video with the CV1. Also, the Omni has come a long way since the last video, and the experience was even better than before. 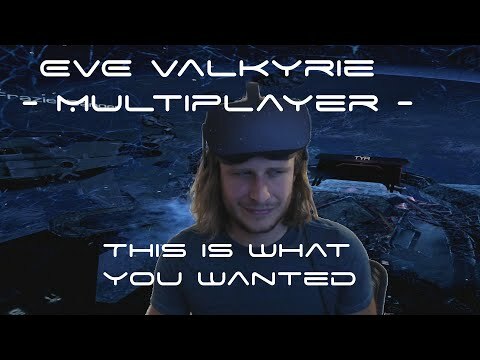 @KellCam_Virtuix Having used both the CV1 and Vive presumably, what are your impressions? I'm interested to know what the talk around the Virtuix office is about this as well. @gleamingsands My personal take is that they are both incredible. The Vive's tracked controllers and lighthouse tech does give it an advantage, so it is currently my HMD of choice. This may change when Rift releases their Touch controllers, which I have yet to try, but I hear are amazing. Vive does seem to fit my face better and its field of view seems larger to me. 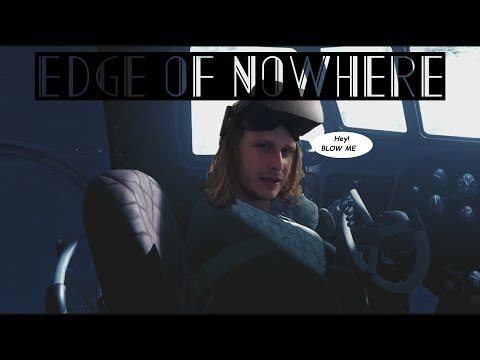 However, there are some Rift-only games that I want to play, like Chronos and Edge of Nowhere.